Studies have shown that 70% of us have too little light in our home. At the same time, 40% of our total energy consumption goes to heating, ventilation and lighting in our homes. Sunlight can get you in a better mood and make your home more welcoming while lightening your energy bill. In other words, there are many good reasons for creating more natural light in your home, so here are some good tips on how to easily improve existing light and create new light sources. 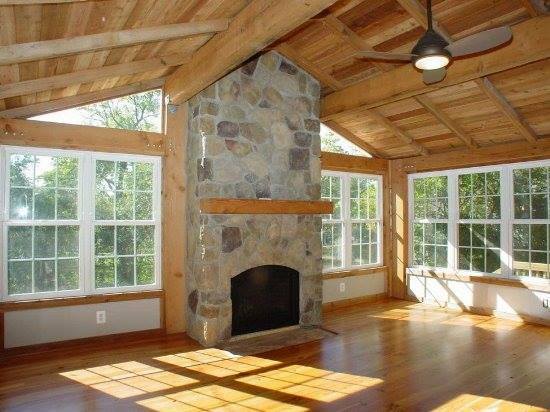 Even smaller rooms can appear bright and large if there is a greater amount of natural light entering. Today, doors with large glass windows are available, which can create a welcoming entrance hall; The installation of French doors and with large windows are an easy way to create additional light and an easy expression. Elsewhere in the home is also worth considering. Windows in the kitchen and dining room are good places to start, as well as staircases which are often darker areas where new windows will make a world of difference. Additionally, a replacement of existing windows can do wonders. Older windows with worn thick glass can leave much to be desired when it comes to the use of sunlight. Modern windows have narrow arms and a slim profile that ensure that you get as much sunlight into your home as possible. Finally, you can easily utilize and optimize the light that already comes into your home through reflectivity and light flow. You can maximize the amount of light that is thrown back into your room by choosing bright colors on the ceiling, walls and floor. In addition, matte surfaces will often be preferable, reflecting the light in all directions, whereas shiny surfaces often cause the light to aperture. In addition, sunlight can be blocked if furniture is placed in front of windows and doors. Bookshelves and room dividers should be placed in a 180 degree angle in the window wall, ie. on side walls if the window sits on an end wall. Also, remember that the light from the top of the window can reach the furthest into the area, so blinds or curtains should not block this part. Other ways to create more light – and give the impression of a brighter home – is by hanging up mirrors, painting in bright colors, or by choosing bright colors for wood floors or carpeting. 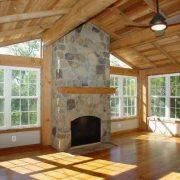 In addition, cleaning the fixtures, light bulbs and windows makes the natural light better.